On Sunday, February 23, 2014 at 7:52 p.m., Galloway Township Police responded to a motor vehicle crash involving one vehicle located on Duerer Street, between Frankfurt and Berlin Avenues. 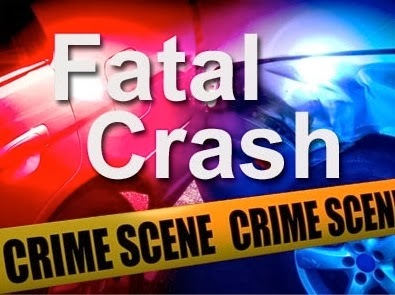 According to Police, a maroon, 1999 Oldsmobile sedan, operated by Shane R. Gerson (28y/o) of Mullica Township, was traveling west on Duerer Street when the driver lost control of the vehicle and struck a large tree along the west bound shoulder. As a result of the impact the driver, and only occupant, was pronounced dead at the scene. The driver was wearing a seat belt. It is unknown at this time why the vehicle left the roadway. The vehicle sustained heavy damage to the driver’s side, and Mr. Gerson had to be extricated from the vehicle. The accident is being investigated by Corporal Gregory Bollinger and Patrolman Kevin Costa of the Galloway Twp. Police Dept. The Galloway Twp Ambulance Squad, Cologne Fire Dept, Pomona Fire Dept, and the Southern Regional Medical Examiner’s Office assisted with the investigation. If anyone has any additional information, or may have witnessed the accident, please contact the Galloway Twp. Police Department at 609-652-3705.